Author Michael Matalone, President of The Excelsior Group, shares his tips to help you make the best possible hire. You can read more from their blog at http://www.excelsiorp3.com/. How do you know if that person sitting in front of you is truly the right person for the role and your company? There are two parts to hiring. The first is sourcing potential candidates, which pretty much anybody can do with the enough time (to search all the job boards and other places) and money (investment in deeper access to search those job boards). Of course it helps if you know exactly what you are searching for. 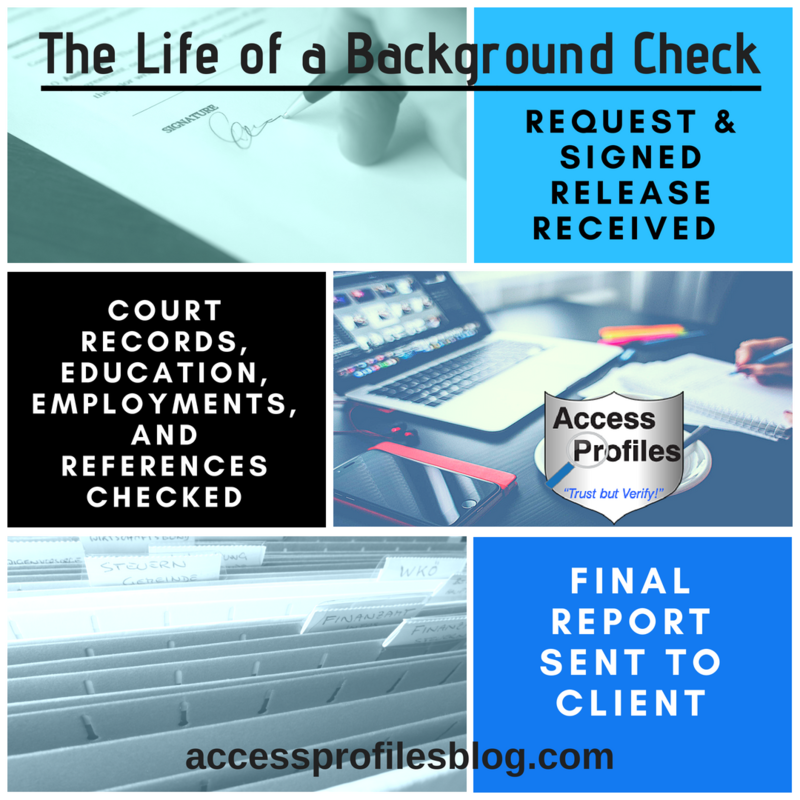 However, the second part and more challenging is once you find those “potential” resumes is how to properly screen and interview those candidates. And for this part, you need skill and expertise. 1. Write a great job description. When crafting that job description, if you are not perfectly clear about the specifics of the role and how success will be defined in the role, it will cost you a lot more time and money trying to figure out who the right candidate truly is. As a way of getting past your typical, generic job description that fails to accurately define the duties and responsibilities of a role, we at Excelsior created the P3, which breaks down a job’s primary tasks into categories and then matches those tasks with the specific knowledge and skills needed to accomplish each category, how success is defined in executing the tasks in that category, what the ideal and/or required behavioral traits are for each category, and the estimated amount of time that the employee will spend doing the tasks in each category. With this detail, “finding” the right person becomes much easier. It’s like having a GPS for finding and identify top talent. 2. Have a structured hiring process. By this we mean step by step details of what, where, when and how you will conduct the hiring process from start to finish. Don’t wing it. 3. 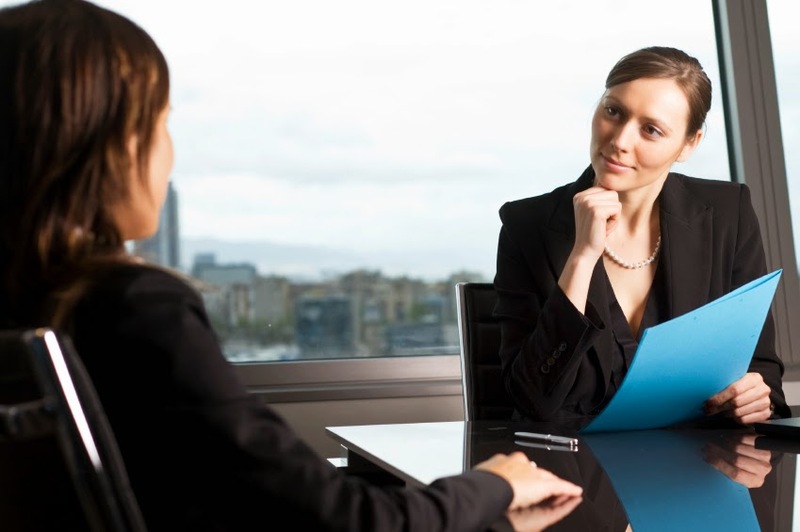 During the interview, know what questions to ask, and more importantly, know what a good response to the question is. There are a lot of mistakes interviewers tend to make, but one prominent one is asking hypothetical questions like “If aliens landed in front of you and, in exchange for anything you desire, offered you any position on their planet, what would you want?” These types of questions are designed to determine critical thinking skills, and while they can be useful, they tell you very little about the candidate’s ability to execute the role successfully. To understand that, you need to ask specific questions about the actual tasks they will perform and the results they have created doing these in the past, e.g., tell me when, where, and how you did this, and most importantly, what were the results of your efforts? The ideal candidate should be able to describe a process that resulted in them achieving a result rather than just talking about tasks they worked on. Listen for both “we” and “I” language. Top talent will share credit and work as part of a cohesive team; however they are also confident and will let you know what specifically they did to contribute to the result. When only “we” is used, it can be a sign that they may not have actually done it. They should describe the specific methodology and steps they use to evaluate, develop a plan for improvements and track and measure the progress to achieve the end result. 4. Take note of cultural fit. Company culture is a “special blend of values, visions, mission, and personality” that is developed over time within a company. Cultural fit is one of the most important factors in hiring decisions, and a candidate’s personal and professional values certainly tie into this. Today, it’s not just about finding the person that can do the job; it is also about finding someone who can fit into the corporate culture. Typically, this is where most recruiters and hiring managers get the hire wrong. They find people who can do the job but not people who want to do the job. 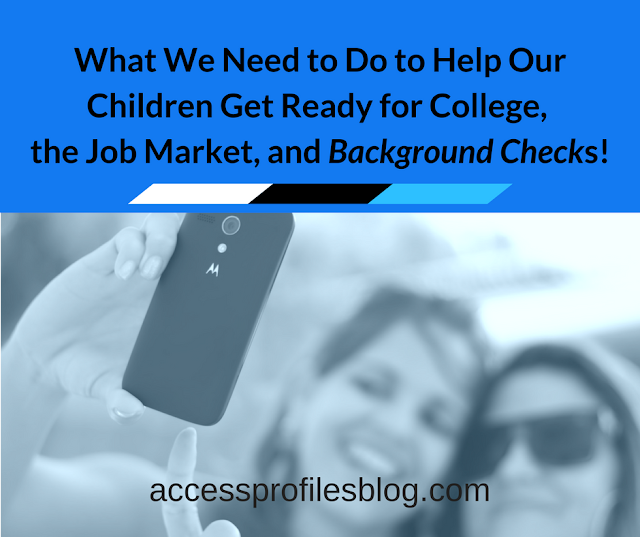 The way to do this is be sure and let the candidate know precisely what they will have to do, what resources they will or won’t have and who they will be working with. This allows them to make a good decision about if they want to do the job. Hiring top talent is an objective, logical, and even scientific approach, when done properly. Most people take a subjective approach and rely too much on “gut” feelings or vague interview questions. Visit my blog, www.accessprofilesblog.com, and website, www.accessprofiles.com, for weekly articles filled with information to help you and your small business! I also welcome guest posts! Contact me if you are interested! 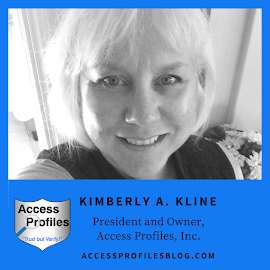 Ten years ago, February 2004, I embarked on an entirely new journey ~ I became the sole owner of Access Profiles, Inc.
Up until this time, I had always worked with one or two partners. We divided the work load, each of us taking what suited our strengths. Most importantly, I always had someone to bounce ideas off of and to share the responsibility of running a business. About two years before this, one of the original three partners decided to leave the business. My other partner and I experienced little transition with this change. We divided up what our partner had been responsible for and went on our way. Now, fast forward to February 2004, and my last remaining partner came to me with the news that she wanted to move on. She was starting her own business and was ready to go in a different direction than where we were heading. I was floored. Feelings of self-doubt and fear threatened to take hold of me. I kept wondering how I was going to manage to do all the work that had been done initially by three of us. With little in the way of alternatives, I plunged in. I began by streamlining all my procedures and deciding on a concrete course of action. I scheduled my days to cover everything I needed to do, plus left time for unexpected occurrences. I soon found myself too busy to dwell on what could go wrong and instead focused on keeping my head above water. Little by little I found myself not just coping with the added responsibilities, but welcoming them. 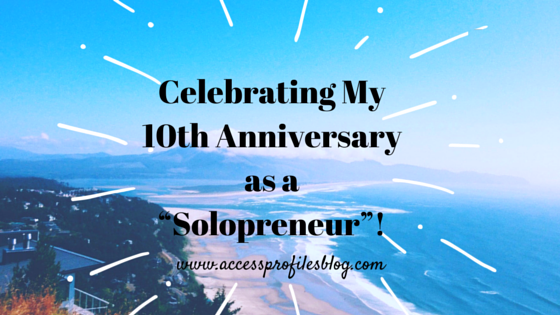 I loved having the freedom to take my business in the direction I chose, without having to answer to anyone else. 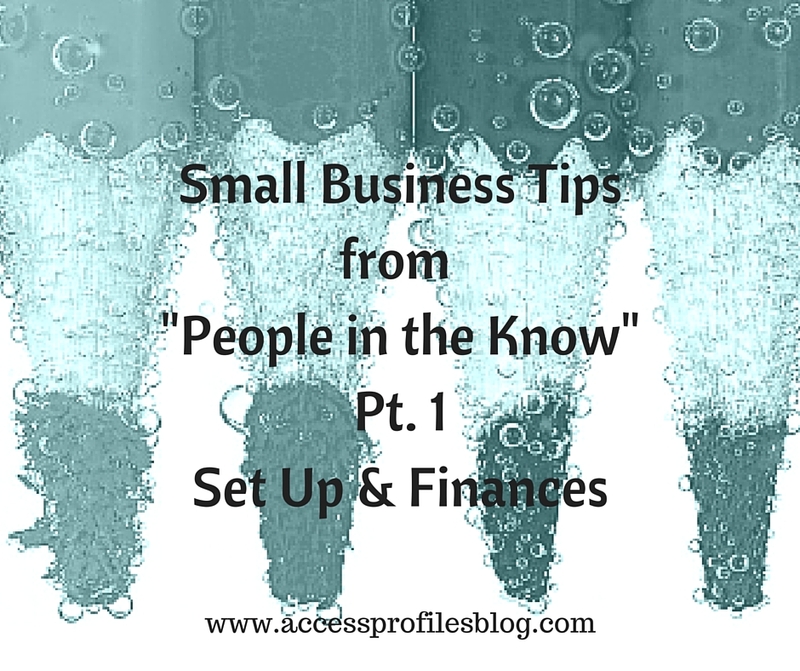 I could pursue new business and find ways to increase awareness of my company on my terms. I soon entered the world of Social Media (something that had not been possible before due to my partners’ lack of interest). I created a Facebook page and joined LinkedIn. Both helped me to get my feet wet. Then gradually I was able to add other social media platforms and a blog. While I still have a long way to go in getting them where I want them to be, it is a start. And it is all mine. My company is “me”....and my brand reflects that. I am the creator and originator of all that is Access Profiles, Inc. ~ and I am proud of that. Even if I still have a long way to go, I know that the path I take to reach my goals will be of my choosing. If I falter along the way, so be it. But I know I will learn from it and move on. 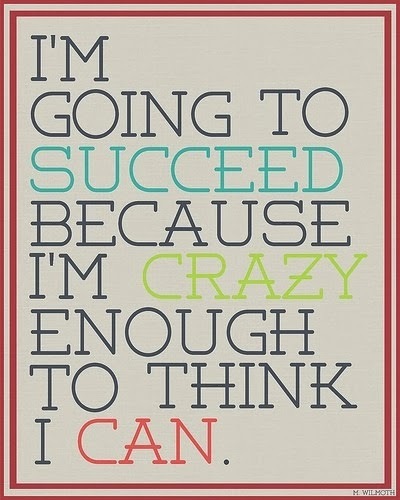 And each time I reach a milestone or accomplish a goal, I can truly say “I did it”. However, despite having the sole responsibility for my company, I am never really alone. I have you, my wonderful clients, connections, readers, friends and family that are with me every step of the way. You have all offered me your support and encouragement. For this I will always be extremely grateful. I could never have done it without each and every one of you! Join me on my journey by visiting and subscribing to my blog, www.accessprofilesblog.com . 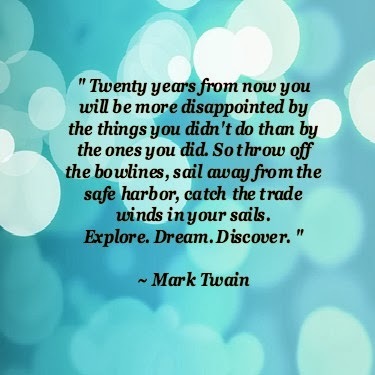 There you will find tips to help you on your journey too! Let’s connect! Find links to my Facebook, LinkedIn, Twitter, and other pages too, here! Eureka, I have done it! 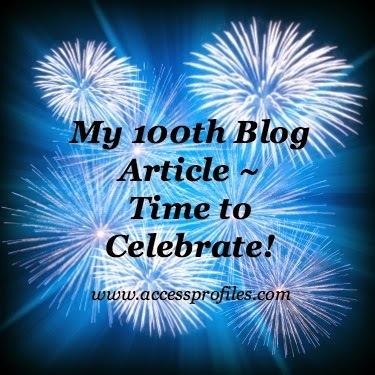 You are now reading my 100th blog article! When I first started writing this blog, I never really imagined that I would be capable of writing 100 blog posts ~ especially when I was struggling with the first. My goal then was to simply write some articles to help “brand” my business. What I have found instead is that blogging has been a wonderful, rewarding, and crazy journey. In fact, I believe it to be the singular most satisfying thing I have done both for myself and my business. Personally, I have enjoyed a freedom of expression and creativity that I had been lacking. 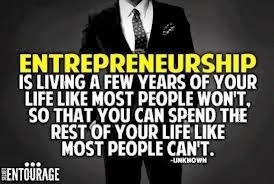 Running my own business has always been a time consuming prospect ~ as I am sure many of you will agree. While I thoroughly enjoy the challenge, it didn’t allow me an outlet for my voice. I felt I had a perspective to share gained from the trials and tribulations of entrepreneurship and life.....and Blogging was the way to do it! Suddenly I could share my viewpoints on topics I found interesting, in hopes that others would feel the same. It was also a fantastic way to provide information on the often misunderstood world of background checks. This is where the benefits of blogging on my business has been unparalleled. 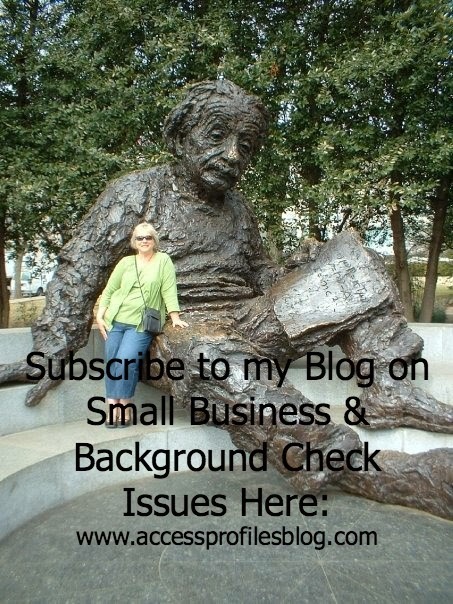 I am able to spread the word about the background check industry in ways never afforded to me before. People that come across my blog are instantly aware of what I do and, most importantly, why I do it. 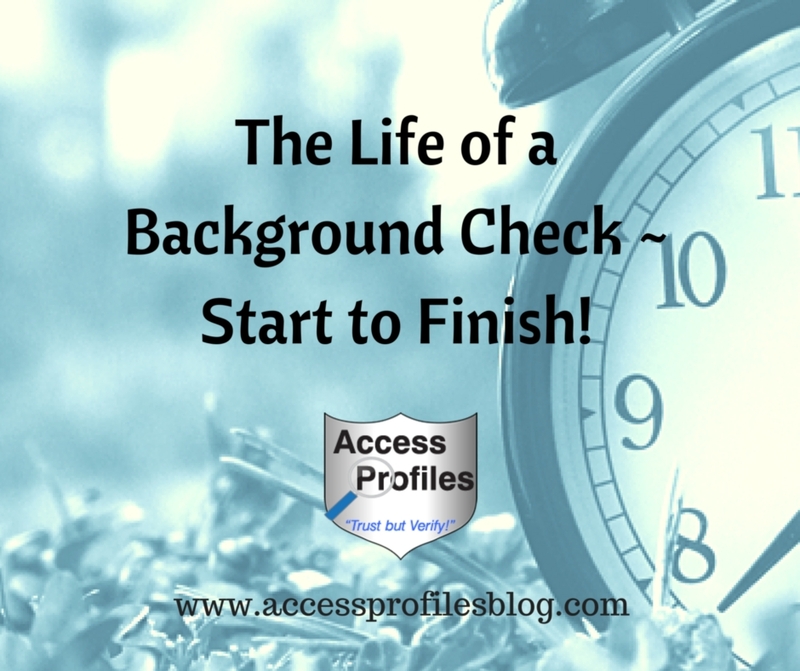 Through my articles I have worked to dispel myths about background checks and shared my thoughts on how using them in the hiring process can be done right. I have even gained new clients through the added exposure blogging gives my business. These new clients shared that they already felt they “knew” me and understood how I work through reading my articles. Now I am celebrating the 100 chances I have had so far to reach an audience. I will marvel at how daunting that seemed at the beginning and feel a great sense of accomplishment now that I have succeeded. I can only hope that this is simply the first leg of my journey. I want it to be a long one. I sincerely thank all of you for coming back time and again to read what I have to say. 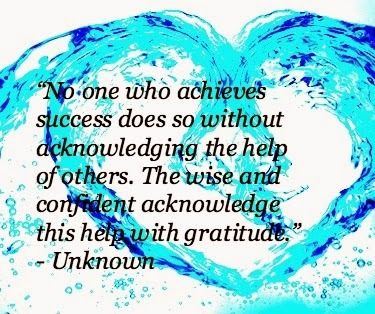 It is appreciated more than you can know. To continue with me on my blogging journey, I invite you to subscribe here. You can also reach me through my website, Facebook, Google+, Twitter, and LinkedIn sites. I hope to see you there!